I know, I know my blog's becoming a bit of beauty box central lately I promise I'll find a nice level between box posts. 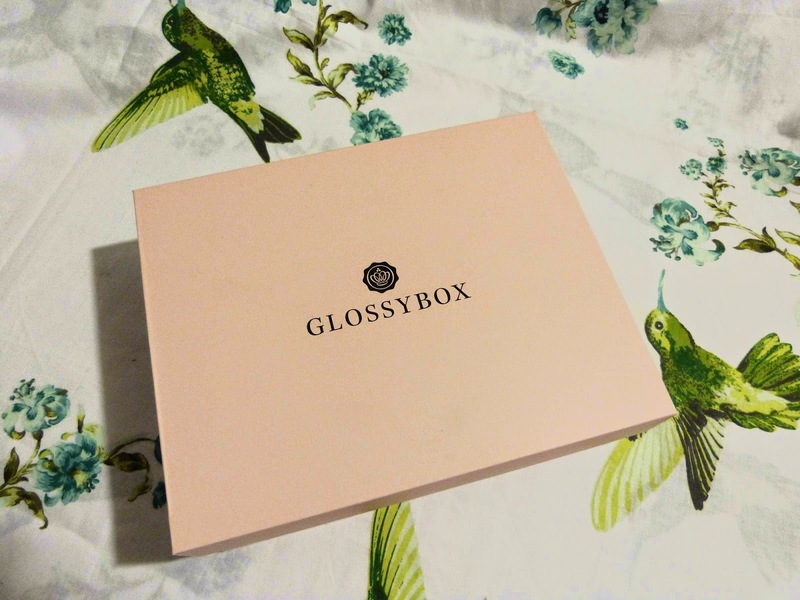 This is my second Glossybox and I'm fairly impressed but I do feel my box wasn't shown the kind of TLC my last box was, my last box all my items arrived nice and neatly snug into the shredded paper but this months there was a bundle of shredded paper in one corner and my items where just rattling around it, The little sticker that holds them all secure in the tissue paper wasn't stuck over enough to actually seal it shut. Maybe I'm just being fussy but I didn't feel the loving packaged feel like I did when I peaked into last months box. With buzzwords such as "luminous" and "minimal" bandied about by make-up artists backstage at the shows, the spotlight is on skin this spring. Thankfully, this organic peeling milk from Spanish eco-brand Naobay is like a start over for skin, with particles from the acai tree to remove dulling dead skin cells and brighten the complexion. This product left me totally confused no clue of what it was or how to use it, because I'm one of those that doesn't read the little card that comes in the box but dives straight into the items inside. It's actually a peeling milk which is pretty intriguing I've only ever really heard of peeling masks. Every girl's make-up mush have. Mascara takes you from weary to wide-eyed in one sweep. This mascara has a clever cobra head shaped wand, which grabs each individual lash to create length and dramatic volume, for inky black eyes as seen this season. If the packaging wasn't as cute as it is I'd have been a little disappointed that I got another mascara as I got one in my last box too. I've got to be honest I'm a little disappointed to get these again as I got them in my YOUBEAUTY box but I suppose that's what I get for being greedy and being signed up to two boxes. Free of toxins, cult brand ncLA's bestselling shade is the perfect quick-dry neon pastel, For us, it represents everything spring - colour, sun starting to peek through clouds and maybe even the chance of a holiday on the horizon. Ever wanted to make your own lipstick shade? Well now is your chance! Designed to be applied softly for a light stain or liberally for jaw dropping colour, Pout paint lets you wear it how you want. You can even mix it with another lip colour to create the ulitmate bespoke shade.